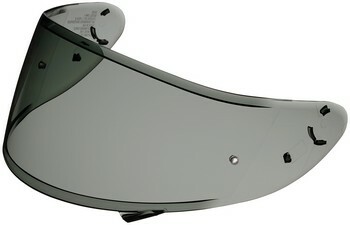 CWR-1 SHIELD The RF-1200s CWR-1 shield provides a vast field of vision that rivals helmetless peripheral. In addition to protecting against 99% of the suns damaging UV rays, the CWR-1 shield offers a distortion-free view throughout the entire range thanks to SHOEIs 3D injection-molding process. Additionally, innovative new ribs on the top and bottom edge of the shield improve rigidity and eliminate the bending that may occur from wind pressure and during the opening and closing process, and an improved shield locking mechanism rounds out SHOEIs most advanced shield system to date. Pinlock® ANTI-FOG SYSTEM The all-new RF-1200 comes equipped with a Pinlock® Fog-Resistant System, offering the most effective anti-fog protection in existence. A simple, one-step installation process makes every Pinlock® lens easy to install. 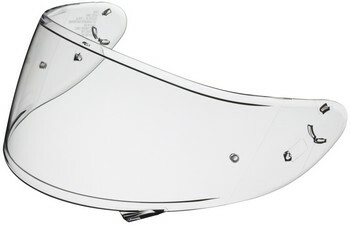 SHOEI® Transitions® adaptive shields are designed to meet International Standards of Performance for driving.